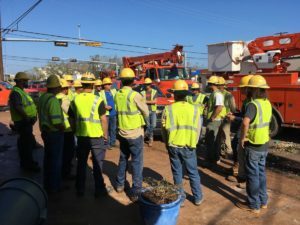 OGE crews remain in hurricane-devastated Rockport, Texas. 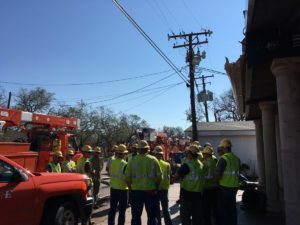 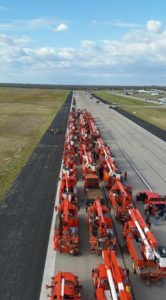 Pictures tweeted by the utility indicated they staged earlier this week at the county airport in Rockport, a city of about 10,000 located north of Port Aransas. 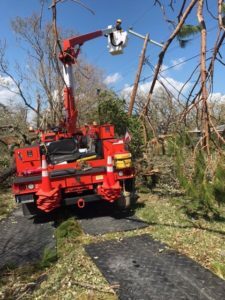 The kind of work the crews are doing is very much like what they do following any Oklahoma tornado or severe storm. 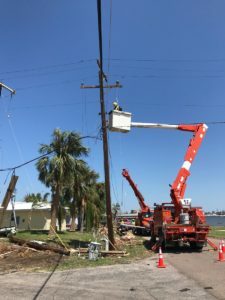 Except in this case, palm trees are among those damaged by the furious 135 mph winds that hit the region last Friday. 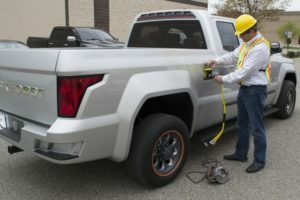 Even OGE’s electric-powered pickup trucks are employed. 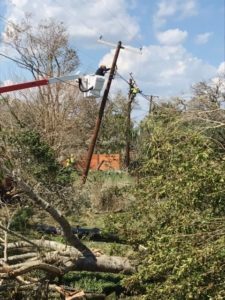 Apparently, the electricity is coming from generators since the region was left without power.